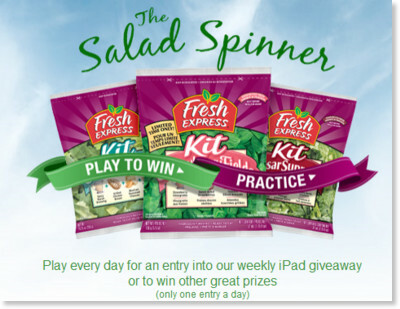 INSTANT WIN GAME & SWEEPSTAKES & COUPON: Fresh Express Salad Spinner Game! Try your luck at a new Instant Win Game & Sweepstakes from Fresh Express! If you are a lucky winner you could win an iPad or other awesome prizes! If you are a loser, you're still a winner . . . you get a coupon!!! Let me know if you win anything from the Salad Spinner game! Harris Teeter: $10 off $50 Coupon in the Virginia Pilot! Sorry this is posted so late in the day, but in today's paper (Wednesday) there is a HUGE $10 off $50 coupon for Harris Teeter in the front section! It's good from now through October 5th! So if you threw it out . . . go dig it out! Alexia: Sign Up & Possibly Score a Great COUPON!!!! Rumor has it that if you sign up for the Alexia email newsletter you may possibly score a nice high value coupon! 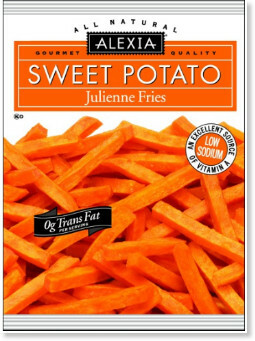 It's worth a shot considering these fries are amazing (and so are the frozen rolls!). Go here and then click on "Subscribe Today"
INSTANT WIN GAME & SWEEPSTAKES: Moviefone 20,000 Movie Tickets Giveaway! Here's a fun new instant win game (& sweepstakes) for you to check out! It's the Moviefone 20,000 Movie Tickets Sweepstakes & Giveaway. 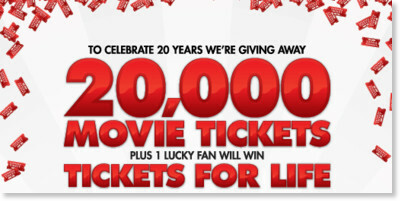 You could win one of 20,000 movie tickets PLUS one really lucky person will win movie tickets for life! Just take a movie trivia quiz (it doesn't matter if you get the answers right or wrong) and find out if you are an instant winner! You can check out theaters that accept Moviefone tickets (eMovie cash) here! Good luck & let me know if you get lucky!!! -+-+ now it's up to 3 FREE movie tickets!! !-+-+ See, it's really easy to win! Freebie: Crisco Olive Oil Sample! Fill out this form from All You for a FREE Sample of Crisco Olive Oil. I've actually had a few bottles of this olive oil, and we love it! Hurry and grab your sample . . . there's only about 17,000 left! 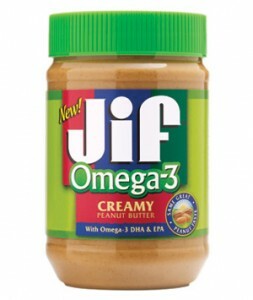 High Value Coupon: $1 off Jif Omega-3 Peanut Butter at Red Plum!